Loaded with crucial supplies for the International Space Station (ISS) crew, the Progress MS-04 has launched atop a Soyuz-U booster on what was supposed to be a two-day trek to the orbital outpost. The launch was carried out at exactly 14:51 GMT (9:51 a.m. EST) from the Site 1/5 (also known as “Gagarin’s Start”) at the Baikonur Cosmodrome in Kazakhstan. However, Roscosmos reported that telemetry with the rocket was lost 383 seconds into the flight and that specialists are investigating the situation. Throughout November the Progress MS-04 mission (Progress 65 in NASA’s numbering system) was in process of last preparations and examinations for the flight. The final processing campaign included loading the cargo, pre-launch checkout and filling the spacecraft with propellants and compressed gases. Soyuz-U with Progress MS-04 on top awaits Dec. 1 launch at Baikonur. Photo Credit: RKK Energia. Propellant loading was performed Nov. 17–22 and, after that, the vehicle was then transported by rail to the spacecraft processing facility and installed onto a jig for further pre-launch processing. The capsule was then mated to the launch vehicle’s adapter section. On Nov. 25, the spacecraft passed the designer’s inspection and was encapsulated in the payload fairing. Afterward, the cargo craft was delivered to the launch vehicle integration and checkout facility for integration with the Soyuz-U booster, where on Nov. 28, the teams finished assembly of the rocket. The Progress MS spacecraft was then installed onto the launch vehicle’s upper stage. With the rocket’s assembly completed the state commission at Baikonur cleared the Soyuz-U booster for the rollout and erection on the launch pad which took place on Nov. 29. Countdown for the launch started eight hours before the planned liftoff. During the countdown campaign, the engineers prepared the Soyuz-U rocket for propellant filling. The process of fueling started some four hours ahead of the launch. When the launcher was fully loaded with kerosene and liquid oxygen, approximately six minutes before liftoff the mission controllers initiated a command to switch the launch vehicle to fully autonomous sequence, switching on the onboard power. The ignition sequence started some 20 seconds before liftoff and the umbilicals separated from the booster shortly after. At T–10 seconds the launch vehicle’s turbopumps were at flight speed and full thrust level was achieved five seconds later. Then the fuel towers were retracted and the rocket soared skywards, commencing a short phase of vertical climb. In order to begin its chase of the ISS, the rocket turned into a north-easterly direction after a brief few-second vertical ascent. During almost first two minutes of the flight, the Soyuz-U was powered by its core stage and four extra strap-on booster providing extra thrust. The quarter of boosters was jettisoned about one minute and 58 seconds after liftoff. The rocket continued its ascent being powered by the core stage’s RD-118 engine alone. This stage burned until T+4:45 minutes when it separated from the launch vehicle. Meanwhile, the payload fairing was detached about two minutes and 39 seconds into the flight, unveiling the Progress MS spacecraft. December 1, 2016, Soyuz-U launch vehicle (LV) with cargo spacecraft Progress MS-04 was launched from the BAIKONUR Space Center. The LV flight was normal until 382-d seconds. After 382 seconds of flight the receiving Progress MS-04 telemetry data was stopped. Radar stations did not detect the cargo vehicle Progress MS-04 on the calculated orbit. Russian news agency TASS reports that ground-based control systems registered breakdown of the spacecraft before it stopped transmitting telemetry data. Progress MS-04 is the third Progress spacecraft lost to date. The first loss of a Progress was in 2011, with the loss of Progress M-12M (Progress 44P) which launched August 24, 2011, on a Soyuz-U rocket. It was found that the failure was triggered by a malfunction in the Blok-I’s RD-0110 engine. 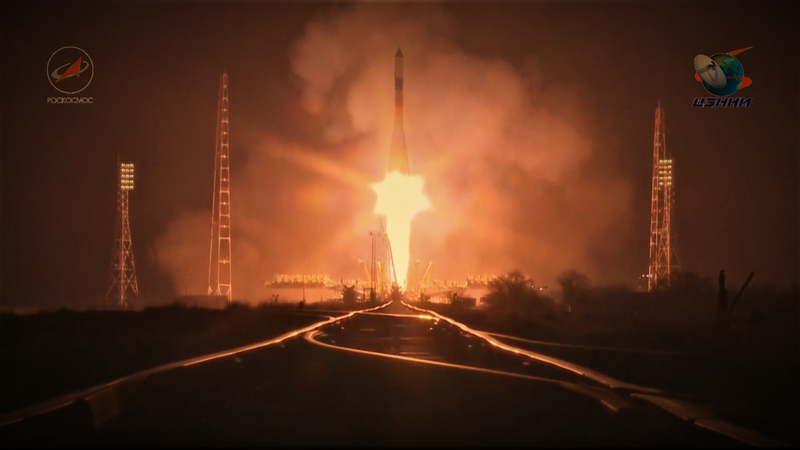 The second Progress failure was Progress M-27M (Progress 59P) which launched April 28, 2015, aboard a Soyuz 2.1a rocket. Although the vehicle managed to reach orbit, it failed to deploy its antennas, which was caused by a design flaw between the rocket and the spacecraft. Today’s accident could be similar to the loss of Progress M-12M as there are speculations that the RD-0110 engine shut down prematurely. An upcoming investigation into the cause of failure will shed some light on the nature of the anomaly. Once in orbit, the spacecraft was supposed to have deployed its power-generating solar panels and its communications antenna. Then the control of the mission would have been handed over to the Mission Control Center in Moscow. After which the vehicle would have performed three rendezvous burns in order to align itself with the space station. The first burn was scheduled to be conducted about three hours after orbital insertion. A usual two-day 34-orbit route to the ISS was planned for the Progress MS-04 spacecraft, aiming for docking with the station’s Zvezda Service Module at 16:43 GMT (11:43 a.m. EST) on Saturday, Dec. 3. 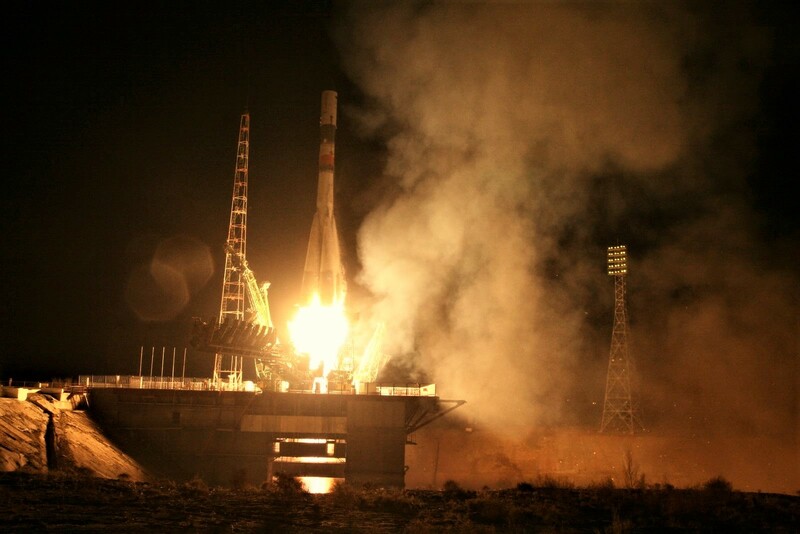 The fast six-hour flight profile cannot be used by Progress MS vehicles due to technical hurdles as Russia’s ground stations are not yet compatible with the command and control system of the upgraded Progress MS spacecraft. Approximately two-and-a-half hours before docking, the vehicle should have initiated its automated rendezvous sequence allowing it to approach the station to berthed with the Zvezda module; the spacecraft would then have remained attached to the station until late April 2017. The Progress MS-04 would have delivered about 2.5 metric tons of cargo to the ISS, essential for maintaining crew operations aboard the station. The cargo includes food, clothing, medical supplies, and personal hygiene items as well as fuel, water, and compressed gases. Progress MS-04 is not the only cargo craft that is scheduled to arrive at the ISS in December. On Dec. 9, a Japanese HTV-6 vehicle, also known as Kounotori 6, will be launched atop an H-IIB rocket to deliver supplies to the station. The spacecraft will dock with the orbital laboratory on Dec. 13. Manufactured by RKK Energia, Progress MS is an improved variant of the Progress automated cargo spacecraft that has been used to deliver supplies to the space station. It has a similar size, mass, and cargo capacity as the modified Progress M employed previously in this role. So far, three missions of the Progress MS vehicle have been successfully completed, delivering a total of approximately 7.5 metric tons of cargo to the ISS. The first Progress MS spacecraft was launched into space on Dec. 21, 2015, by a Soyuz 2.1a rocket. The second craft in the series was sent into space on March 31, 2016, also by a Soyuz 2.1a booster. Progress MS-03 was the first mission of this upgraded spacecraft launched by a Soyuz-U rocket. It took to the skies on July 16, 2016. After Progress MS-04, eight more orbital flights of this spacecraft are scheduled for 2016 to 2018 with Progress MS-05 currently targeted for Feb. 2, 2017. 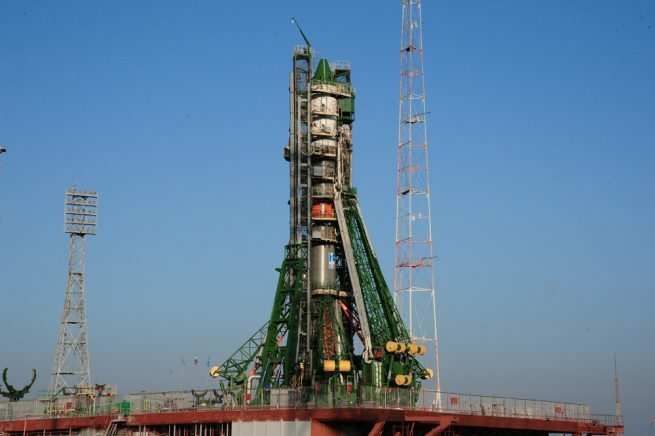 The Soyuz 2.1a and Soyuz-U rockets will serve as launch vehicles to loft these spacecraft from Baikonur; however, when the new Vostochny Cosmodrome, which is still under construction, becomes fully operational, these launches will be transitioned there. The Soyuz-U, which was launched for the first time in 1973, is the most flown rocket in the historic Soyuz launcher family. The launch vehicle is currently used to transport the Progress spacecraft to the ISS and occasionally to launch military reconnaissance payloads. The vehicle stands 167 feet (51.1 meters) tall with a main body diameter of 9 feet (2.95 meters) and a maximum diameter of 33 feet (10.3 meters). Liftoff mass is about 313 metric tons. It is capable of delivering payloads of up to 6.9 metric tons to low-Earth orbit (LEO). Thursday’s launch was the 19th orbital mission for Russia and the 11th liftoff from Baikonur this year. The country plans one more launch later this year, on Dec. 22, when a Proton-M rocket will blast off from Baikonur with the EchoStar 21 communications satellite. This article was updated at 14:54 EST, Dec. 1, to reflect the current situation.